However, the plant’s attractiveness and ability to absorb pollutants may not compensate for its negative impacts. 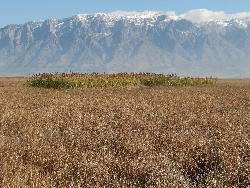 Phragmites is an invasive perennial grass that now thrives in much of the wetlands around the Great Salt Lake and other marshes in northern Utah. It grows in dense clusters and normally reaches 5 to 10 feet in height. If the conditions are right it can reach 15 feet. The patches of grass are so dense that wetland managers are called out each year to rescue duck hunters – who are lost in the Phragmites. 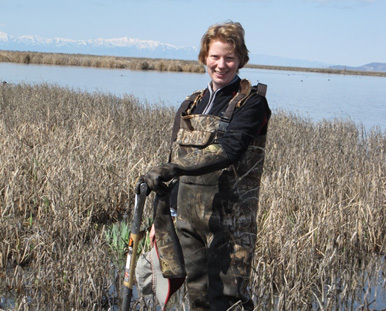 Karin Kettenring, associate professor of wetland ecology in the Department of Watershed Sciences at USU and her research team have been studying Utah Phragmites for the past decade. 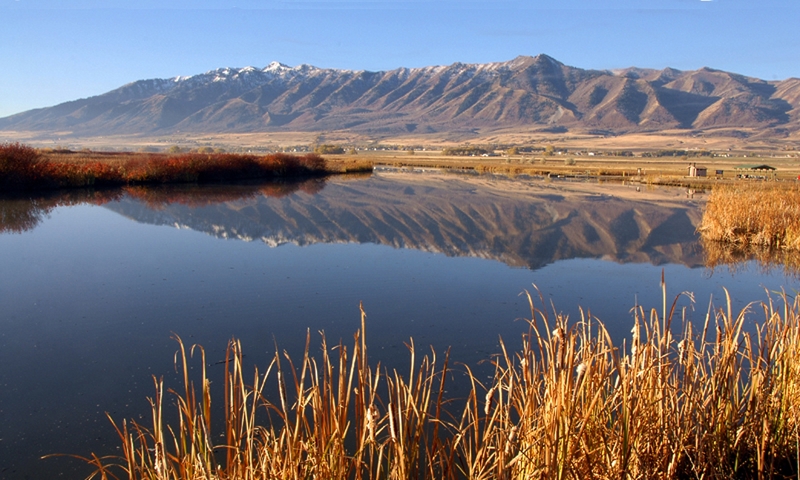 The exotic grass most likely started in the Great Salt Lake wetlands after the flooding of 1983. The flood washed out the marshes. When the water levels receded, the salty water had destroyed all the native vegetation in the wetlands. Phragmites then moved in. By 2011, the exotic grass had spread over 24,000 acres. Scientists believe humans inadvertently brought Phragmites to Utah, since birds don’t migrate East and West, and the birds usually don’t eat the seeds. Someone’s boat may have transported the seeds into Utah. They sat dormant in the soil until the conditions were perfect, then the spread of Phragmites began. Today an average small patch of Phragmites, about 20 feet square, can spread a couple yards a year just from the stems it sends out above and below the ground. However, research has shown it’s not the stems that cause the most reproduction – but the seeds. Karen Mock, associate professor in the Department of Wildland Resources and a long-term collaborator on this project helped Kettenring with the genetic work. 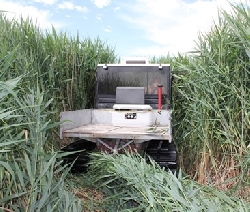 They tested the genetics of a lot of Phragmites pulled from the same patches and found many different genotypes – proving the plants came from different seeds, not the stems of neighboring plants. With these results, Kettenring’s lab discovered the best way to control the invasive grass is to first control the seed production by mowing the grass mid-summer to keep it from spreading. Then in the fall spraying the area with herbicide three years in a row. An herbicide approved for use in wetlands can be used – such as Rodeo. If the Phragmites has been there only a few years then the seeds of the native vegetation will still be in the soil, and they’ll come back on their own. However, if the Phragmites has been there for a long time then re-seeding of native plants will be necessary. 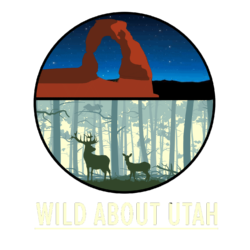 To determine the best way to re-seed wetlands, Kettenring partnered with Utah Division of Wildlife Resources, Utah Division of Forestry, Fire & State Lands and David England – one of Kettenring’s past graduate students. England has spent extensive time in the lab determining how to help seeds germinate. Emily Martin, Kettenring’s current graduate student will also help with the UDWR reseeding as she searches for techniques to make seeding more effective. Ultimately their goal is to restore native plant communities to keep Phragmites from coming back and restore habitat for important migratory birds.